Fall is soon approaching and it’s about time to start preparing an Autumn theme selection of products. Nothing gets people into the Fall spirit like Pumpkin. For example, I usually drink my coffee black, but when fall comes around I chug Pumpkin Pie Spice Creamer constantly and I stuff my face with any Pumpkin treat I can get my hands on. I am sure that I’m not the only one that has this Pumpkin obsession come over them once the weather cools a bit! Essentials by Catalina can help you fill that craving with our great selection of Fall theme Items including one you may not be familiar with, Pumpkin Powder. Pumpkin Spice your autumn line up with Pumpkin Powder! Pumpkin Powder is dehydrated pumpkin that has been ground into a powder. The fine, orange powder, smells exactly like a raw pumpkin. It is rich in vitamin A, Vitamin C, and Zinc and has antioxidant qualities and is a skin soother. 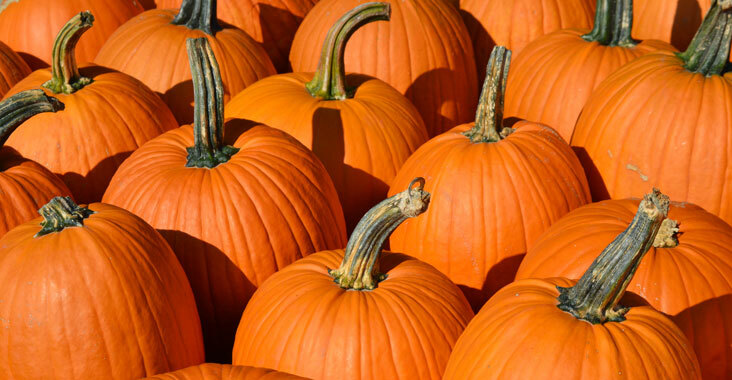 Pumpkin gently removes dead skin cells and leaves skin smooth and glowing. And though our Pumpkin powder is cosmetic grade and incredibly pure, we still strongly advise against eating it. What Can Pumpkin Powder Be Added to? Pumpkin can easily be added to many of our Personal Care Bases. Here is a list of products that pumpkin powder mixes well into. In general, you can add from 1-5% Powder to one of our Bases to achieve the desired results and consistency. More can be added, but you should test in a small batch before committing to a larger quantity. Keep up with the blog for more detailed recipes and more! Pumpkin Powder will make your products smell like pumpkin and it will tint them orange. Although it does not stain your skin, do keep in mind that the color of your lotion, scrub or other base may change. To mix our Pumpkin Powder into product evenly, first dissolve the powder into a liquid carrier. You can use alcohol, oil, or glycerin. Finally as a last tip, the powder will intensify pumpkin fragrances. If you plan on using Pumpkin Fragrances, start off with 0.5% and work your way up until you reach the desired strength.